Print this free Guanfacine Hcl Coupon to get the lowest price on your prescription medication. This discount drug coupon is pre-activated and can be used immediately to save up to 75% at your pharmacy. This coupon is accepted at over 68,000 pharmacies nationwide, including: Walgreens, CVS Pharmacy, Walmart Pharmacy, Rite Aid, Kroger, Kmart Pharmacy, and Safeway. 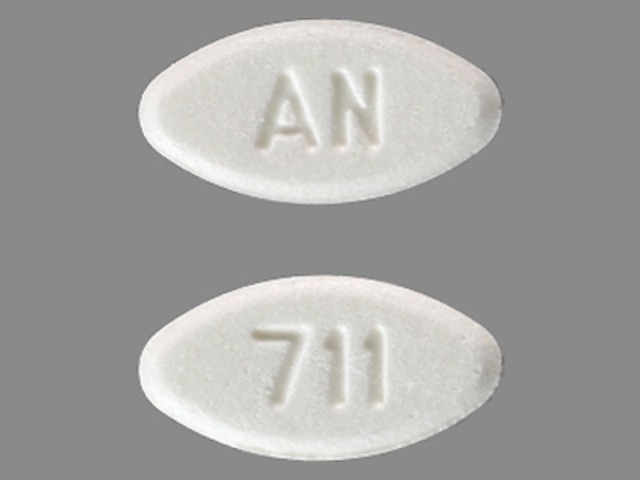 Guanfacine tablets, USP are indicated in the management of hypertension. Guanfacine may be given alone or in combination with other antihypertensive agents, especially thiazide-type diuretics. The recommended initial dose of guanfacine tablets, USP when given alone or in combination with another antihypertensive drug is 1 mg daily given at bedtime to minimize somnolence. If after 3 to 4 weeks of therapy, 1 mg does not give a satisfactory result, a dose of 2 mg may be given, although most of the effect of guanfacine is seen at 1 mg. Higher daily doses have been used, but adverse reactions increase significantly with doses above 3 mg/day. Guanfacine tablets, USP are contraindicated in patients with known hypersensitivity to guanfacine hydrochloride, USP. Like other antihypertensive agents, guanfacine hydrochloride should be used with caution in patients with severe coronary insufficiency, recent myocardial infarction, cerebrovascular disease, or chronic renal or hepatic failure. An open-label postmarketing study involving 21,718 patients was conducted to assess the safety of guanfacine hydrochloride 1 mg/day given at bedtime for 28 days. Guanfacine was administered with or without other antihypertensive agents. Adverse events reported in the postmarketing study at an incidence greater than 1% included dry mouth, dizziness, somnolence, fatigue, headache and nausea. The most commonly reported adverse events in this study were the same as those observed in controlled clinical trials. The administration of guanfacine concomitantly with a known microsomal enzyme inducer (phenobarbital or phenytoin) to two patients with renal impairment reportedly resulted in significant reductions in elimination half-life and plasma concentration. In such cases, therefore, more frequent dosing may be required to achieve or maintain the desired hypotensive response. Further, if guanfacine is to be discontinued in such patients, careful tapering of the dosage may be necessary in order to avoid rebound phenomena.